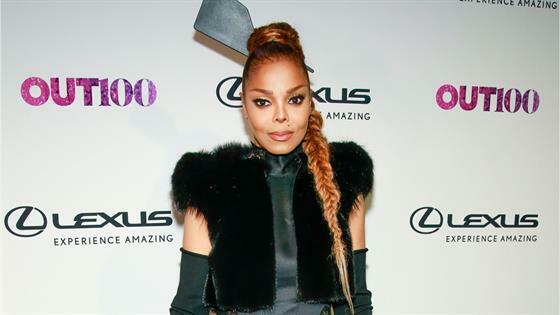 Following the loss of her father, Janet Jacksonis forging ahead in the career he helped create. The triple threat took the stage as the closing act at the Essence Music Festival in New Orleans on Sunday night, but had to stop to address something that was weighing on her heart—her dad Joe Jackson's death. As Janet explained to the crowd at the Mercedes-Benz Superdome, in light of Joe's passing, she had contemplated canceling that very performance and her ongoing State of the World Tour, which she kicked off again that night for the second and final leg of the tour. The tour currently finishes on August 12 in San Francisco, nearly a year after it began in September 2017. "I didn't know what to do. I didn't know how to go forward—if I should cancel the festival, cancel this entire tour," she told the audience. "I talked to my brother and we started to speak about my father's strength. He was very strong. Without his drive, his strength, we wouldn't have this success. We're a black family that came from Gary, Indiana and we broke all kinds of records all around the globe. That's truth." In thinking of her dad's work ethic and ceaseless belief in her and her siblings' talents, she was motivated to carry on. "My father was a great man. My brother—he asked me. He said, 'If he were here right now listening to this conversation, what do you think he would say to you?' and I think my father would've said, 'Janet, please, finish what you started and I will be there with you every step of the way in your heart,'" she explained as she began to cry. As for her final decision, her appearance on stage said it all. "So, here I am. I love you so much. This one is for you," she continued as she pointed to the sky. "Let's celebrate my father. My father would wante to celebrate his life. That's what I'm going to do right now with all of you." The Jackson family patriarch passed away while in hospice care in late June following a battle with cancer. He was 89 years old. The late music mogul has been credited with helping launch Janet's solo career at 16 years old by working as her manager, helping to negotiate her first recording contract and overseeing her debut album. As she said in a 2018 Radio Disney Music Award acceptance speech, "My father, my incredible father, drove me to be the best that I can."